Confidential Shredding in Limerick & Galway is one way of ensuring, a person’s identity is of serious security among the working class because it is responsible for significantly important aspects of people’s lives. Due to modernisation, social media sites are becoming main sources for displaying information. But other than that, documents are one of the most rampant modes of identity display to malicious people and it may be disclosed to a third party causing you business harms. The only solution to get rid of this problem is to destroy these documents if they are no longer in use of concerned authorities. Although there are many ways to destroy these documents but the best way is document destruction from confidential shredding specialists. Other than that, these two amazing tips are definitely going to help you in winning the fight against identity theft. 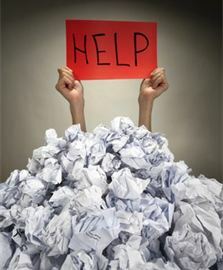 Most of the entrepreneurs and corporate people have to deal with large volumes of documents. Hence, it’s recommended that they must hire shredder for the secure handling of sensitive documents that are no longer required for use. In order to ensure maximum security, it is better to hire a destruction company that is certified and works with compliance of all national standards for secure destruction. The only reason behind this fact is that the approved shredding companies are recognised for their genuine, professional and compliant work for their clients through their confidential destruction services. The way from where identity crime starts is personal documents and data. It’s not obligatory that identity would be physical only; it can be in the form of a signature also. Your signature is embraced on various papers such as property documents, wills, shares, bank forms, medical claim documents, etc. and a breach can copy your signature which may empty your pockets. Due to this reason, it’s very significant to always be alert on how to handle such documents that are no longer required in order to stay away from such cases. About the shredding service, every individual has the same perspective that it should be a time confined service provider. Once called, they should arrive at their location within the promised time. With a remarkable response time, security in shredding provides mobile services and are confidential shredding specialists that enables you to verify your data destruction process with the help of on-board monitor screen showing the destruction. This entry was posted in Confidential Shredding and tagged Confidential Shredding, Data Protection, Data Security, Secure Shredding by Security in Shredding. Bookmark the permalink.